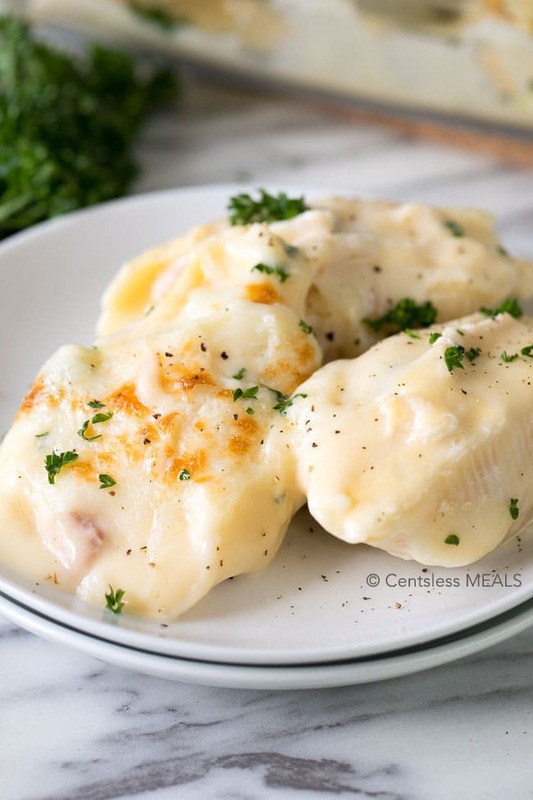 Chicken Stuffed Shells is a complete meal that is easy, creamy and prepared in record time! 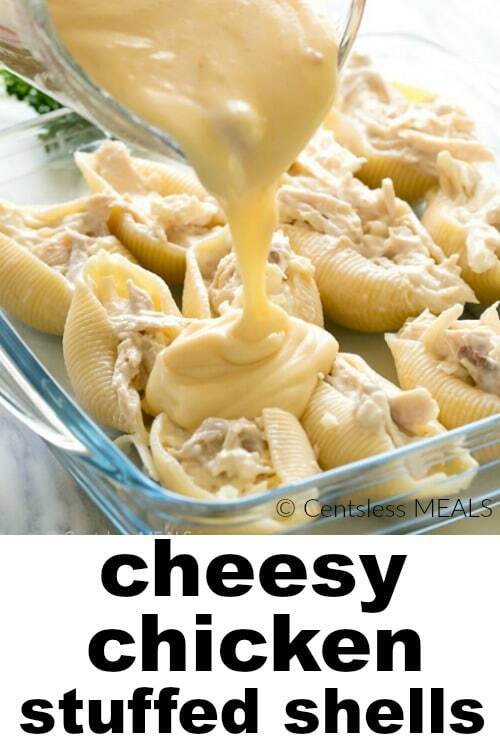 Juicy chicken stuffed inside of tender pasta shells and smothered with cheese on every level. Perfect for busy weeknights, you can make this delicious and hearty meal for your family without spending hours over the stove. 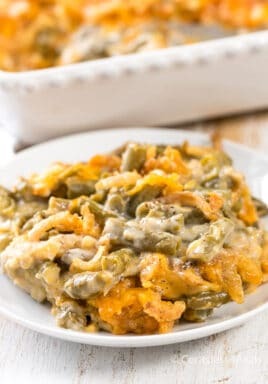 This is an easy comforting dish that my entire family loves. 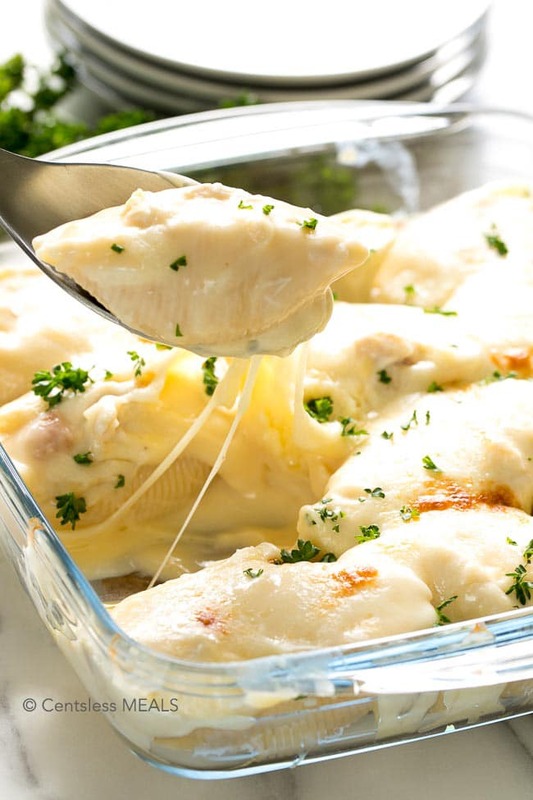 Loads of juicy chicken stuffed into tender pasta shells and fully smothered in cheese. Cooked chicken is at the heart of this recipe, and makes this a great way to use leftover chicken. Prepared rotisserie chickens found at your local store are an awesome time saver for these recipes too! When they go on sale, I buy a few, remove all of the chicken and freeze it in 1 cup portions. Perfect for quick recipes, chicken sandwiches and more! And save the bones, when you get enough you can also make a delicious chicken stock too! This recipe calls for cheese and lots of it… FOUR types of cheese to be exact, so cheese lovers beware – you will not be able to resist! I love the taste and texture of ricotta cheese, however cottage cheese is a good substitute if it’s all you have on hand. The parmesan cheese gives just the right about of zing, while the mozzarella and cream cheese make it oh so creamy, ooey and gooey. Any macaroni and cheese fan will not be able to resist the cheesy goodness found in these tender pasta shells! I use the jumbo pasta shells because they hold lots of delicious filling. Stuffing the shells is easier than it looks, I usually just get a bit messy and use my hands! However, if you don’t have jumbo pasta shells on hand, you can substitute cooked cannelloni and fill them the same way. 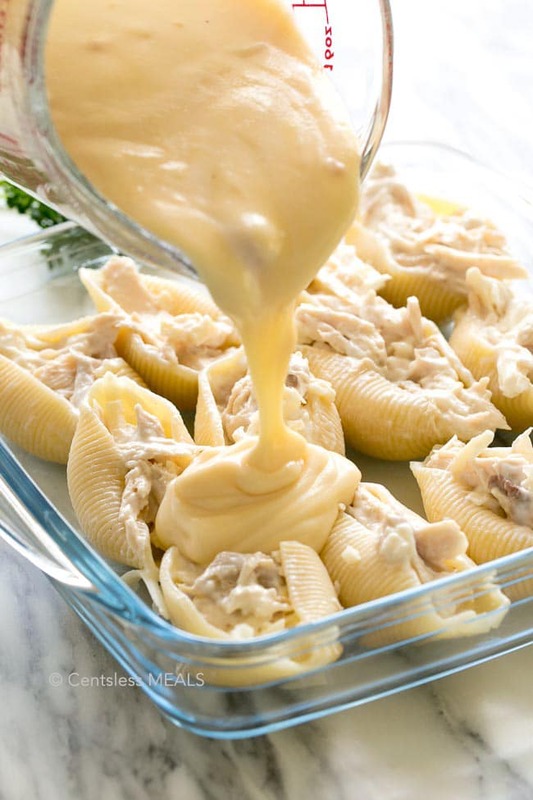 Another great option for this recipe is to use your favorite cooked pasta on the bottom of the dish and layer the chicken and cheesy soup mixtures for a cheesy chicken casserole instead. These shells can be stuffed with pretty much anything from pizza toppings, to broccoli and chicken to delicious taco filling! If you want to round out this meal by adding a vegetable, simply add spinach, broccoli or peas to the chicken mixture (or all of the above). You just need a nice hearty mixture to fill the shells along with the cheese. To make this into a meatless meal, simply omit the chicken altogether and replace it with a combination of chopped fried mushrooms, zucchini and onions and use an alternate cream soup such as cream of mushroom or cream of celery. The possibilities are endless! 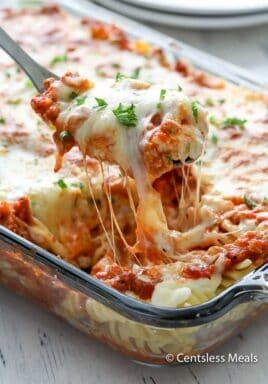 This recipe is made in a 9×13 pan however I also often divide it into two 9×9 dishes and bake one for dinner one night and the other a couple of days later for two meals. 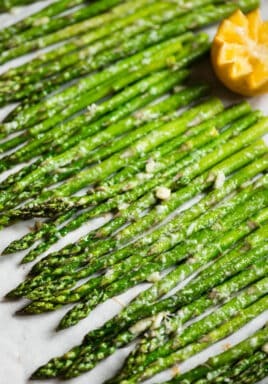 We serve this with a side of steamed broccoli, a fresh side salad and a loaf of crusty bread for a delicious meal! 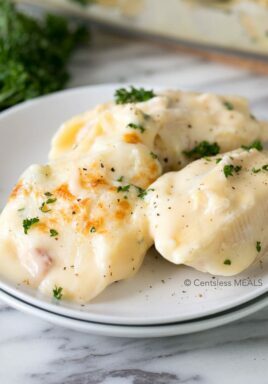 Chicken Stuffed Shells is a complete meal that is easy, creamy and prepared in record time! Perfect for busy weeknights, you can make this delicious and hearty meal for your family without spending hours over the stove. Boil and drain pasta shells until al dente. Rinse in cold water and set aside. 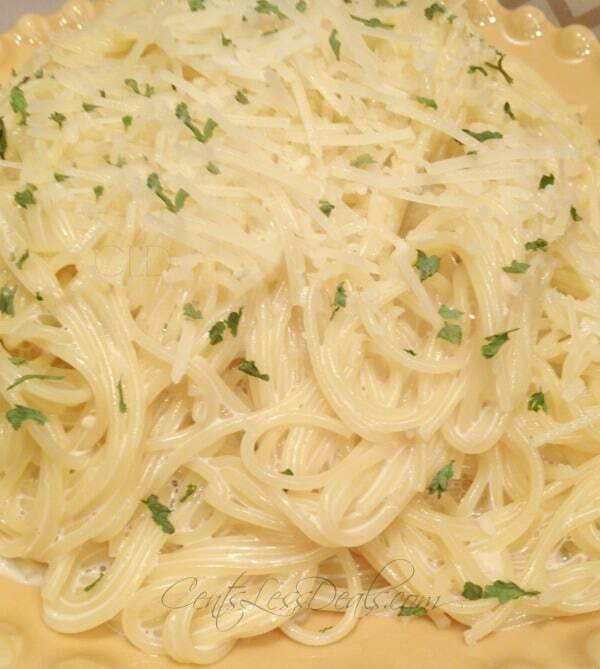 In a medium sized bowl combine the shredded chicken, ricotta cheese, 1/4 cup parmesan cheese, garlic powder, parsley, and salt & pepper to taste. Pour cream of chicken soup into a medium saucepan and heat over medium heat. Stir in evaporated milk and whisk until mixed. 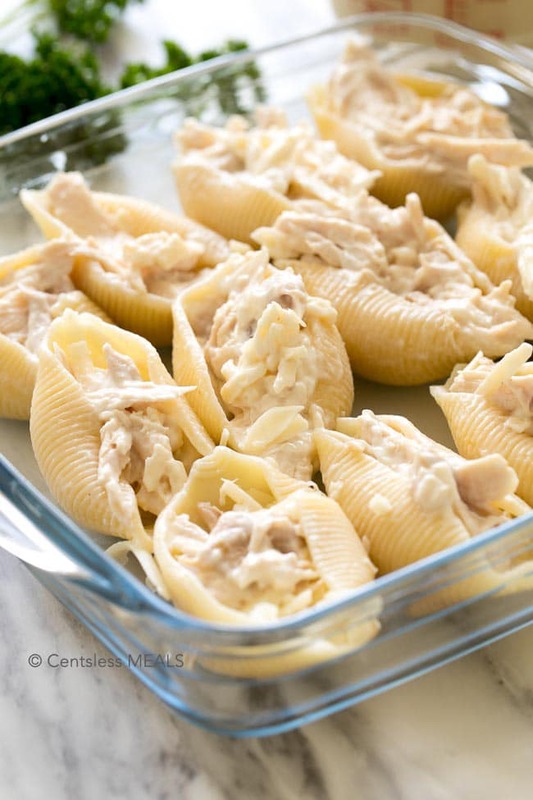 Fill pasta shells with chicken mixture and place in a 9x13 pan. Top with sauce and remaining mozzarella cheese. Bake until hot & bubbly (about 25 minutes). Is there anything to substitute for the cream of chicken? Those soups are not easy on the stomach and was hoping there’d be an alternative? I’ve only made the recipe as written, but you could try using this homemade condensed cream of mushroom soup recipe Kathryn. Enjoy! Can you freeze this? And if so how do you reheat? I have never tried freezing this recipe. Let us know if you try it Nathalie! This recipe uses 1 pound of dry pasta. Enjoy! I’ve made this twice and both times the family enjoyed it. I did have two difficulties. The first was just that the recipe ingredients are not in any sensible order – but maybe that’s just me. I’m accustomed to the list being either in order of use, or largest measurement to smallest. I spent more time than necessary trying to sort through the ingredients during construction. I totally confused the cheeses the first time I made this – most of the mozzarella went into the filling. It was good, but not as designed. The second was that I had to “fill” the shells quite sparingly in order to use even most of the pasta, there just didn’t seem to be enough filling. All that aside, my family of seven loved the meal and we will make it again. I was surprised by the mozzarella being in the sauce instead of the filling and was not expecting to like this meal, but I was very pleasantly surprised. Thank you so much! Thank you for your feedback. I’ve updated the order of ingredients to the order of use. Is it shredded or grated parm? Thanks. Both will work for this recipe Natalie. I bake it uncovered. Enjoy! I had several issues with this recipe. The recipe says 1 lb of shells, which I assumed meant dry, uncooked weight. That’s a LOT of shells. When I went to assemble, I ended up using maybe half of the shells. Next, I had so much sauce….it’s like the shells were swimming in it. Then, putting the mozzarella cheese in the sauce, it was stringy…it didn’t incorporate into the sauce and made a mess as I tried to spoon it over the shells. Thinking maybe should put mozzarella in stuffing and Parma in the sauce. I just keep looking at the recipe and I don’t think I did anything wrong. Just seems like the proportions were way off, that doubling the stuffing would make it come out better. I do agree with another poster who added additional seasonings – that too would’ve helped. I wanted to like this recipe, but it just needs too many adjustments for our tastes. Sorry that this recipe didn’t work out for you Karen. If you use the full amount of shells, the sauce should be the right amount. Perhaps your sauce wasn’t quite hot enough to incorporate the mozzarella cheese. I hope you have better success next time around. Thank you for trying my recipes! Do you have a recipe for herb & garlic cream cheese? I don’t have one Louella, but you could try this herbed cream cheese recipe from my friend Sue at The View from Great Island. Has anyone found the herbs and garlic cream cheese? I’ve made this twice and live it but use regular cream cheese. If you don’t have herb and garlic cream cheese, you could add a bit of seasoning and garlic to your regular cream cheese. Enjoy, Summer! Where do you get the cream cheese? You’ll find the cream cheese in the refrigerated section where the regular cream cheese is. Usually it is sold in a tub. I’ve substituted cottage cheese for ricotta cheese in prior recipes that called for ricotta. So if you aren’t a huge ricotta fan, you may want to try that substitution. Can’t wait to try it. Think I’ll add some spinach in the stuffing. I too would like a response to the pasta questions? Do you leave them in the water? Or drain and leave in the pot? If you add an egg to ricotta cheese it will not be so dry. Instead of ricotta I used sour cream, Italian seasoned bread crumbs, mozz cheese, garlic powder, salt, pepper, in the chicken mixture! It was amazing!! This looks delicious, but I’m concerned about leaving the shells in the water that long. Wouldn’t they overcook and fall apart? I make a similar recipe. But I stuff them with the chicken, stuffing, peas, onions and a cup of mayo. Covered with cream of chicken soup. I made this it was sooo yummy! Also made it with the manicotti shells && it worked great && made it as a lasagna, both worked great && were delicious!! The first direction is to boil the pasta and drain it. Then it says leave it in the pot of water. Are we leaving it in the water or no? Or just in the pot? Instead of ricotta or cottage cheese try tofu. I have made the substitution many times. I use firm tofu, pat it dry and break it up with a fork to get it to the texture if the ricott cheese. It’s yummy. Nancy, the whole idea of stuffed shells is to stuff them with cheese. The cheese tastes different when it melts and cooks. It would have to be a crumbly cheese to be used as a stuffing, so maybe you could try shredding some provolone or mozzarella and mix it 1/2 and 1/2 with the ricotta. Not a big fan of ricotta or cottage cheese anything else that I could use ? I have made this twice now…first time followed this exact recipe and it was good but just not right. Tonight i made it again, added garlic powder, onion powder salt, pepper and various seasonings to the filling along with some crispy crumbled bacon. To the sauce i added some garlic, extra milk (it was WAY to thick the first time) , fiesta blend cheese instead of just cheddar and a small pinch of nutmeg and I also sprinkled the top with the remaining of the shredded cheese i had and broiled it just untill it started lightly browning on top. OMG it was unbelievably yummy. 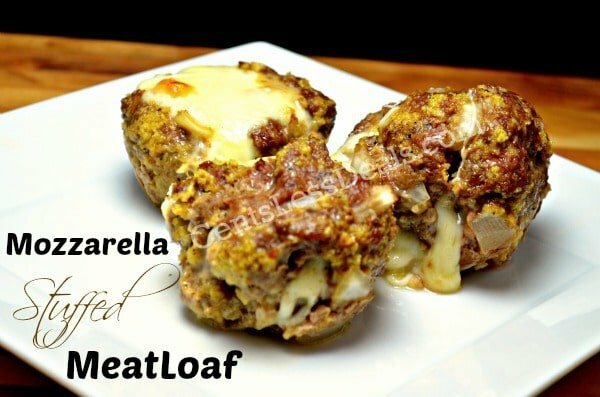 I love stuffed shells and these are even cheesier than my recipe. Will have to give it a try. Thanks for sharing at Inspire Us Thursday. 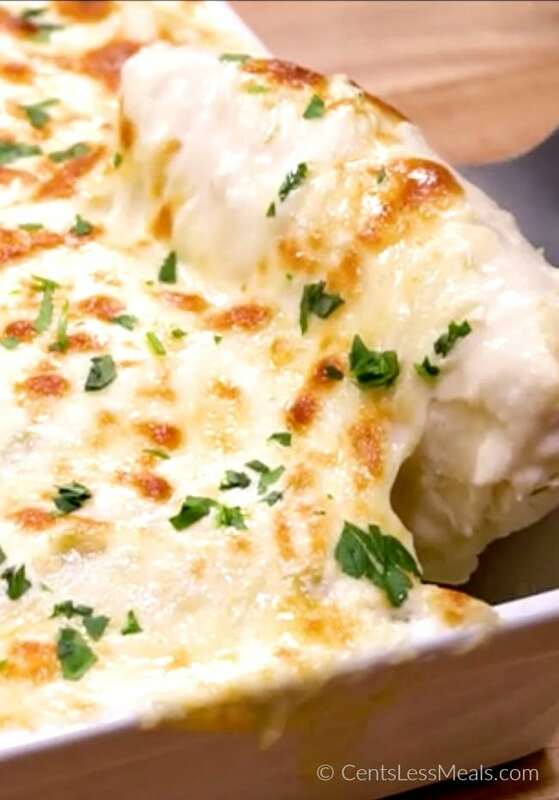 So creamy and delicious, pure comfort! Thank you so much for sharing with Full Plate Thursday. Hope you are having a great summer weekend and come back to see me real soon! I would say cottage cheese instead of ricotta. The cottage cheese is not as rich. I have a weakness for cheese… seriously, anytime I see anything with cheese, especially a cheese sauce, I go crazy. Adding to my recipe file! What else could I use besides ricotta??? I don’t really care for it but the rest sounds amazing. I am definitely gonna make this, maybe video along with it if it’s ok with you? looks so good! Looks delish! I can’t wait to try this!